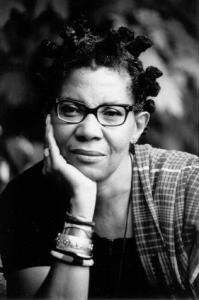 M. NourbeSe Philip is a poet, essayist, novelist and playwright. A former lawyer, she lives in the space-time of the City of Toronto. She is author of five books of poetry, including the seminal, She Tries Her Tongue; Her Silence Softly Breaks, as well as three collections of essays. Her fiction includes several short stories and the young adult novel, Harriet’s Daughter, winner of the Canadian Library Association Book of the Year Award for Children (1989). Her most recent work is the hauntological, genre-breaking, book-length poem Zong!, which engages with the law, history and memory. Among her awards are the Pushcart Prize (USA, 1981), the Casa de las Americas Prize (Cuba,1988), the Prairie Schooner Lawrence Foundation Award (USA,1994) and Guggenheim and Rockefeller Fellowships (USA, 1990, 2005). She has been a finalist for the Dora Award (1999), the National Magazine Award (1998) and the Max and Greta Abel Award for Multicultural Literature (1989).